A low, spreading fan palm with stiff leaves and spiny leaf stems. Its trunks usually creep along the ground, rooting and branching as they grow. In coastal regions, it is an aggressive spreader. The only native palm with spiny leaf stems. Plants in our area have yellow-green leaves. 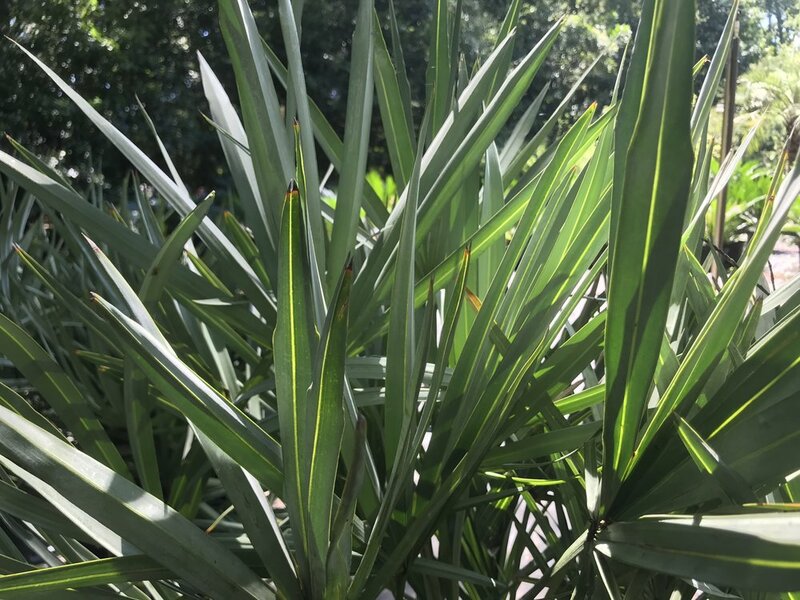 Some plants from southeastern Florida have blue-green or silvery leaves. Native habitat: Native to coastal areas of the Southeast and most areas of Florida. Very common and easily visible from major highways near the coast. 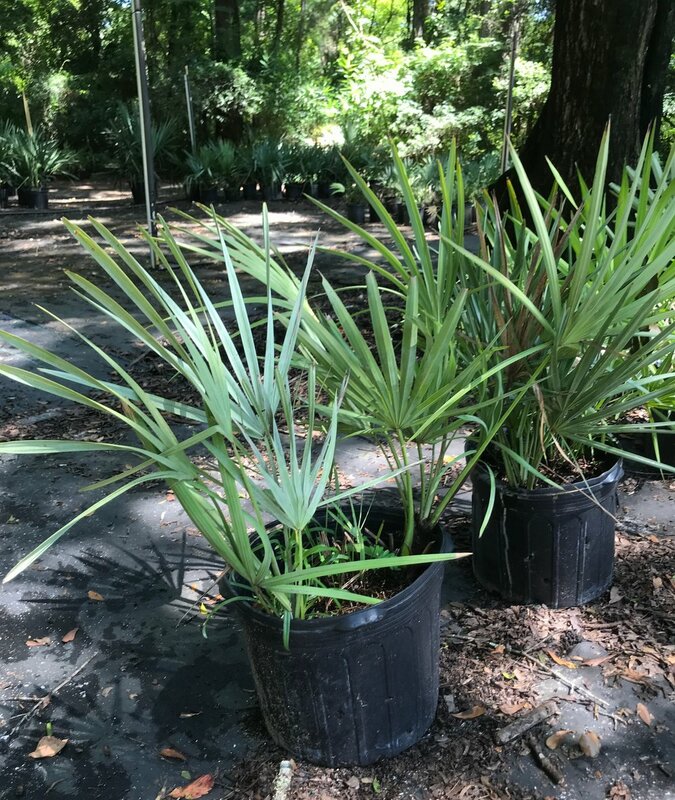 Usually grows in higher and drier areas then the Needle Palm and Dwarf Palmetto. 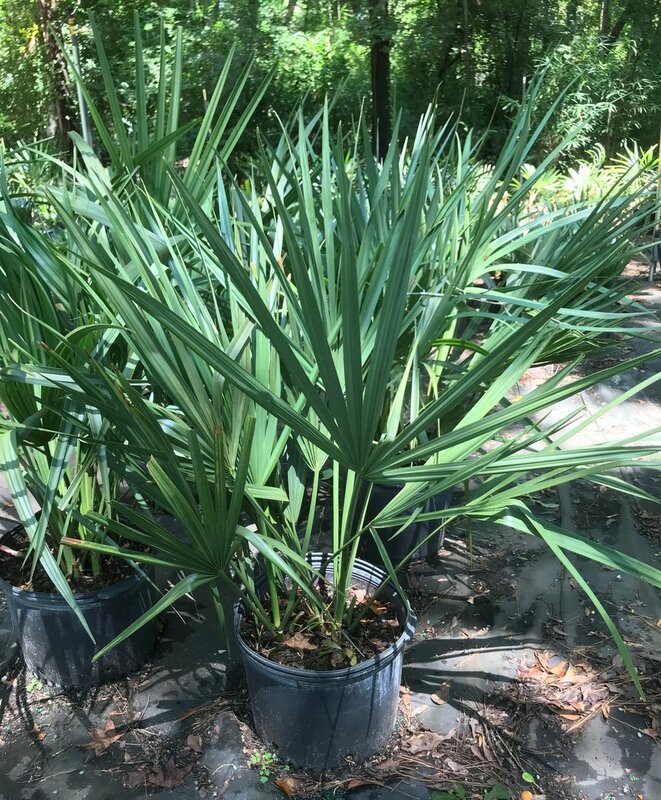 Saw palmetto thrives in areas subject to disturbances such as clear cutting, fire, or salt spray. Often presents a "scrubby" appearance due to the effects of one or more of these factors. 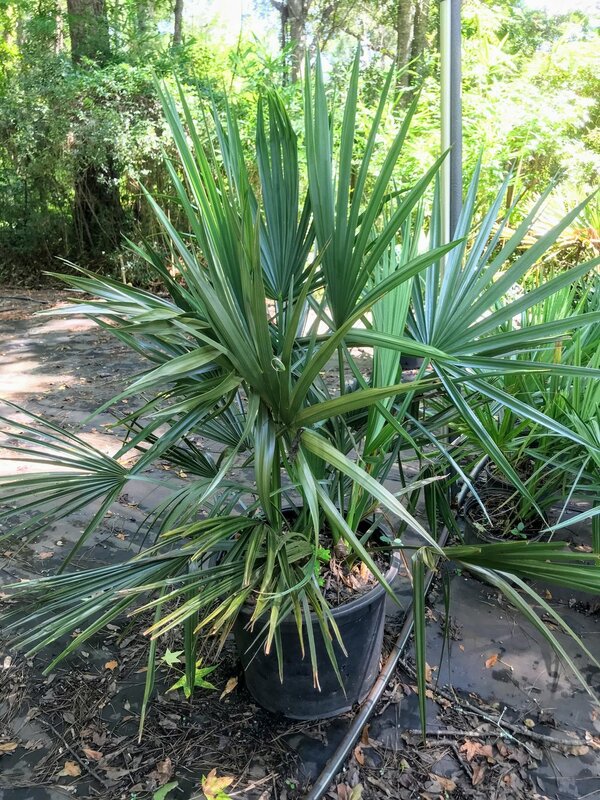 Size: The trunks of Saw Palmetto usually sprawl on the ground and don't get any higher than five feet. Vertical growth rate is slow. Seedling plants from "tree" forms don't necessarily grow into tree-form plants. The only reliable way of obtaining a tree form plant is to transplant one from the wild. Cold hardiness: Cold hardy throughout its native Zone 8ab and reasonably cold hardy throughout Zone 8a, Notoriously tender in Zone 7 without winter protection.